Posted Friday, October 7th, 2011 by Robyn Warner. The standard colors that are found in most printers are cyan, magenta, yellow and black. These four basic colors combined in different mixtures can generate a color gamut that includes thousands of colors. This extensive color spectrum creates sharp, vivid images that are pretty true to the original. However, certain photo printers from HP offer specialty photo inks that provide even more intricate color schemes to create the best photographs possible. Sometimes these photo cartridges have their own slot next to the standard colors, but on some printers, such as the HP PhotoSmart B8300, the device can hold two cartridges at one time, but actually has four possible cartridges available. 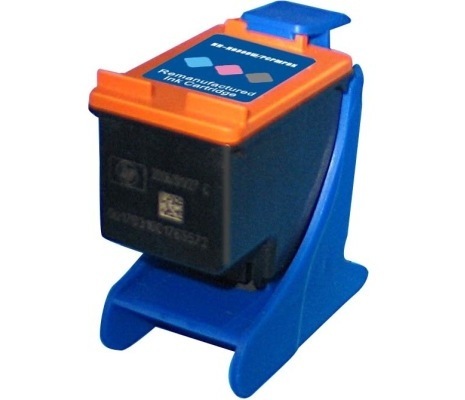 For this model, and others that are similar, the two primary cartridges are black and tricolor (cyan, magenta, yellow), and can handle standard printing needs. When it comes time to print a color photo, the HP 99 ink cartridge, which holds black, light cyan and light magenta ink, will be installed in place of the black ink cartridge. A remanufactured HP 99 Photo Cartridge. There is also a photo gray cartridge for this model of printer, part number HP 100. The photo gray is installed in place of the black ink cartridge and will work alone when printing black-and-white photos. It can also work in conjunction with the tricolor cartridge or color photo cartridge to add texture and dramatic contrast to pictures. 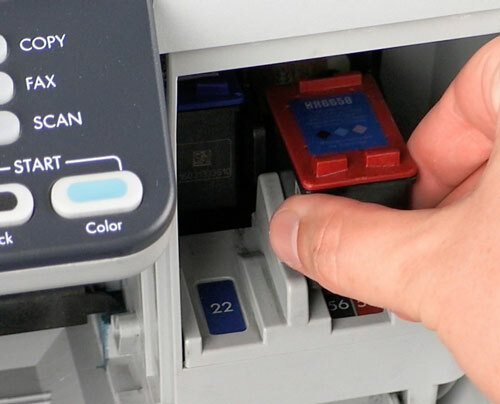 If you buy a printer that has this relatively complicated photo printing system, it is imperative that you read through the user’s guide to understand exactly what cartridges are available, and the best use of each. You want to make sure you are getting the optimal results, so take a minute to get HP’s advice as to what that entails. What is HP Cartridge Protection?